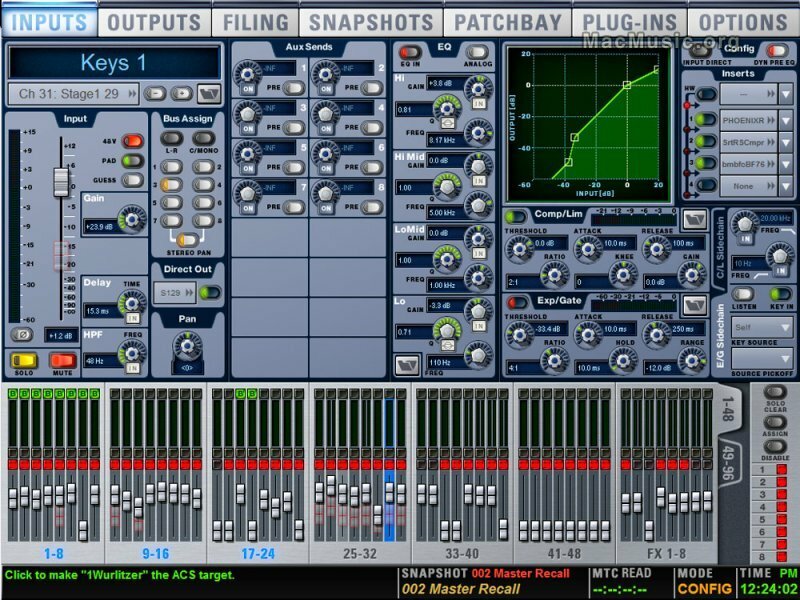 Digidesign continues to expand and improve its groundbreaking D-Show software with the new D-Show 2.7 software. The latest upgrade provides hardware support for the new VENUE Mix Rack, and several new software enhancements for VENUE users to improve monitor-mixing workflows, provide system lock capabilities, and give engineers better visual insight into their mixes. The VENUEPack 3.0 comes included with VENUE Mix Rack and FOH Rack (with Impact, Reverb One, ReVibe, Smack!, BF-3A, le Bundle Pultec, Slightly Rude Compressor, Bundle Classic Compressors, Bundle MoogerFooger, Focusrite d2 and d3, and bundle TrooTrace Audio Analysis). The updated VENUEPack Pro 3.0 includes the bundle JOEMEEK, Fairchild 660 and 670, bundle Voce, Eleven and Line 6 Echo Farm. VENUEPack Pro 3.0 comes included with FOH Rack (in addition to VENUEPack 3.0), and with any D-Show Mix Engine card purchase.